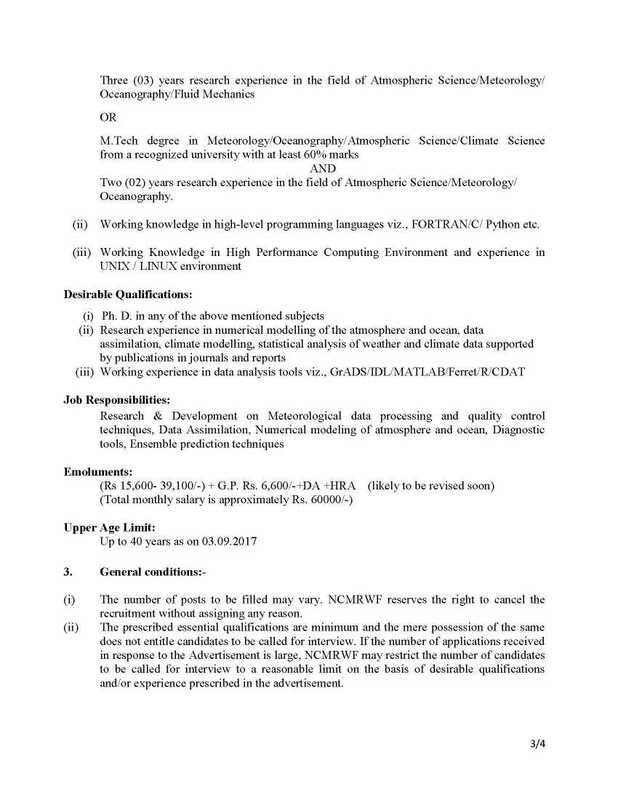 I want to get the details of latest vacancy of National Centre for Medium Range Weather Forecasting (NCMRWF) so can you provide me? 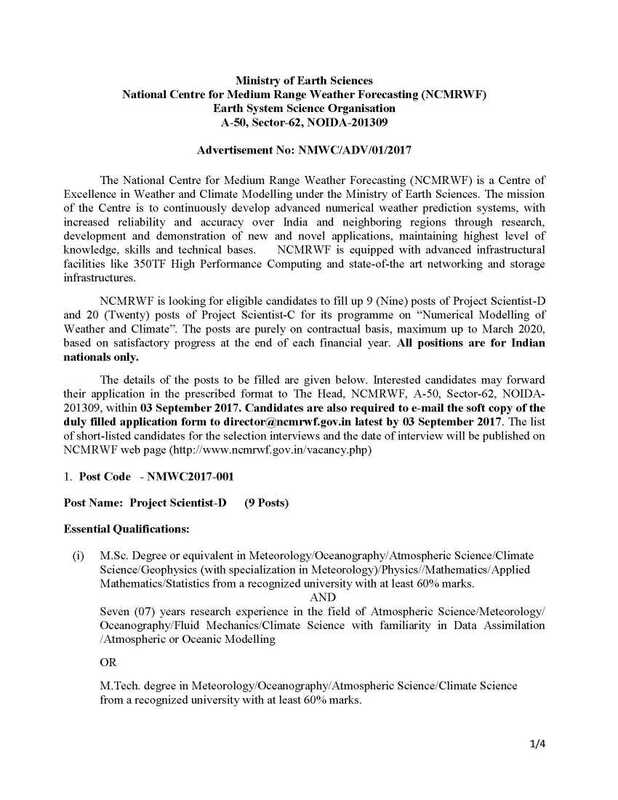 National Centre for Medium Range Weather Forecasting (NCMRWF) has released a notification for the recruitment of Project Scientist C & Scientist D vacancies to work its â€œNumerical Modeling of Weather & Climateâ€� scheme. 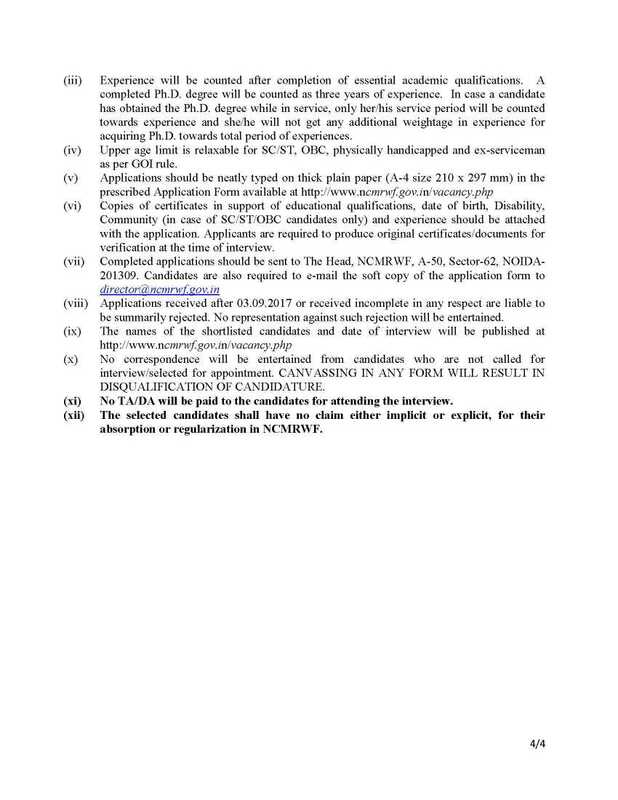 Upper age limit is relaxable for SC/ ST, OBC, physically handicapped and ex-serviceman as per GOI rule. 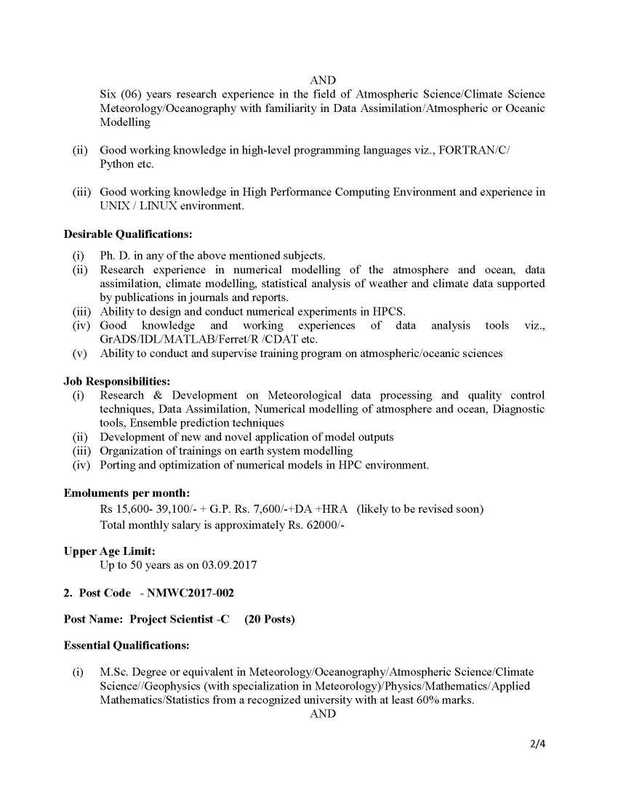 Last Date for Receipt of Application: 03-09-2017.